We don't know how Thomas O'Malley (AKA Tom) ended up outside our primary foster home, hungry and dirty. But we trapped him expecting a feral and were surprised to find he's a very sweet boy. The vet says he was born about August 2010. He is excellent with most other cats and will wrestle with cats that like to wrestle, play tag with cats that like to play tag, or just lay with and groom the more sedate cats. Once in a while he meets a bully cat that scares him, but most cats are great. He's shy around people he doesn't know, but affectionate with people he knows, and sleeps in bed with his foster mom every night. 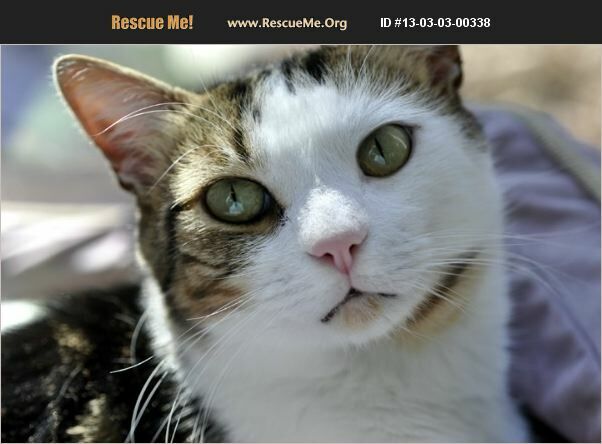 Tom would do best in a quiet home without a lot of upheaval or change. Overnight company (strange humans) is very stressful to him. He is neutered, up to date on vaccinations, wormed and treated for fleas, FIV/FeLV, and heartworm negative, had his teeth cleaned, and has been microchipped. His adoption fee is $50. There are more photos and videos of Tom at https://photos.app.goo.gl/aAY5Lun96kVlVJKR2 Tom's adoption fee is partially sponsored by Tim, Oakland Park, FL.